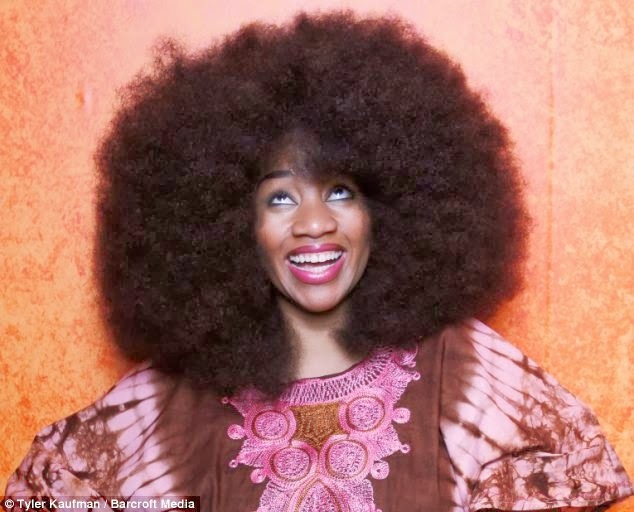 It was only back in 2011 when the Guinness Book of World Records first introduced the Largest Afro category. A huge step for the natural hair community, Naturally Curly caught up with the New Orleans native who won the title to talk about her hair, her regimen and of course, her life. 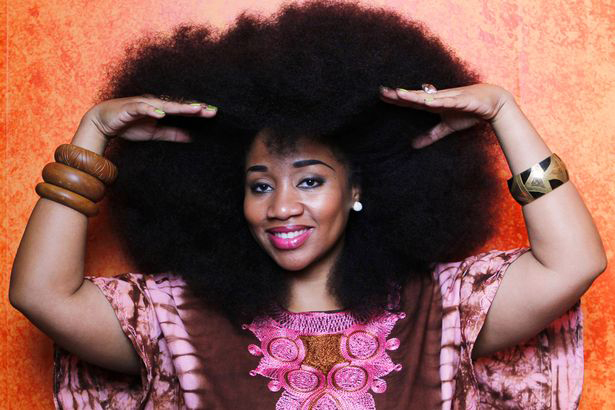 Two years later, Aevin Dugas still holds the World’s Largest Afro title, and says that as of 2014, her hair is much longer than it was when she first won. Dugas is a woman who went natural long before the community gained such notoriety. She taught herself how to care for her hair, use protective styles and even deal with negative reactions from society as a whole. She has been natural for the past 14 years (starting about the same time NaturallyCurly did! 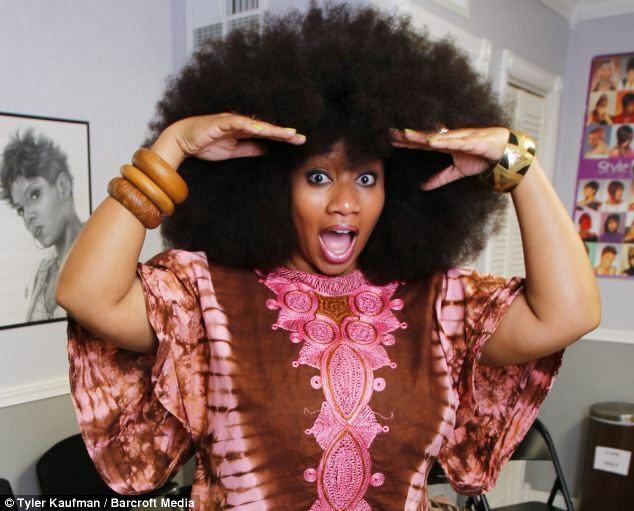 ), and is not only a world record holder, but a natural hair guru in and of herself. We caught up with Dugas again to follow up on how the title has changed her life, how she continues to take care of her hair and to talk about how the natural hair community has influenced a whole new generation of women, many of whom were able to avoid relaxers altogether. 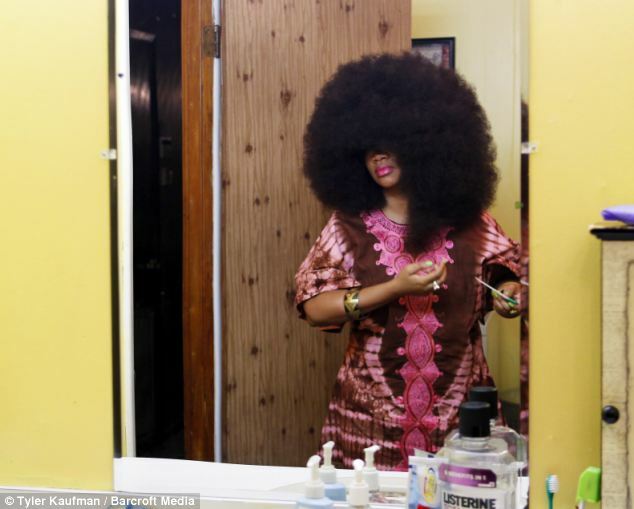 The Record What has your life been like since you were named the Guinness World Record Holder for the World’s Largest Afro? My life has been almost the same, except now being natural is on a larger scale because I meet more people, do more interviews and get to travel because of being natural! So, I guess my life has changed a bit from how it used to be. Any particular highlights that stand out to you? I think one of the highlights is meeting the little girls who say they want to grow their hair like mine! I love that the natural movement has gotten to the kids because if we can get to them before they get relaxers, they won’t have to go through the turmoil of going natural, the big chop, transitioning etc. You’ve been natural for about 14 years now. How have you seen the attitudes towards natural hair change over that time? Definitely, the attitude has changed a lot! When I first went natural people would give me the strange looks and make rude comments, but now SO many people are loving it, asking questions, and accepting of it. It really does make me so happy! The Afro What hair type would you say that you have? Somewhere in the 4s!! It just depends on the weather and what part of my hair you’re dealing with. What’s your hair look like now? My hair is longer, but I don’t wear my fro that much because it gets really tangled and it’s not something you wear out everyday. That style has always gotten a lot of attention, the bigger it gets the more people want to know. So I only wear it for appearances and MAYBE if I’m feeling spicy! How do you maintain it, keep it healthy? I maintain it by keeping it in a protective style 90 percent of the time and maybe wear it out on the weekends. I shampoo, condition, sometimes deep condition and then braid it mostly or sometimes twist it. By Friday, I may take it down. Then by Sunday, it’s back up again. What are your favorite hairstyles? My favorite of course is my bun. Then I recently tried a “Nicole Melton bun” and fell in love!! I love two French braids, and wearing it out a twist-n-curl. How long does it take you to put your hair in those styles? It actually doesn’t take long for any of them. I’d say an hour is all I need for styling. Now drying time is something totally different! The Natural Hair Community Back in 2011, you said that you didn’t mind people touching your hair. 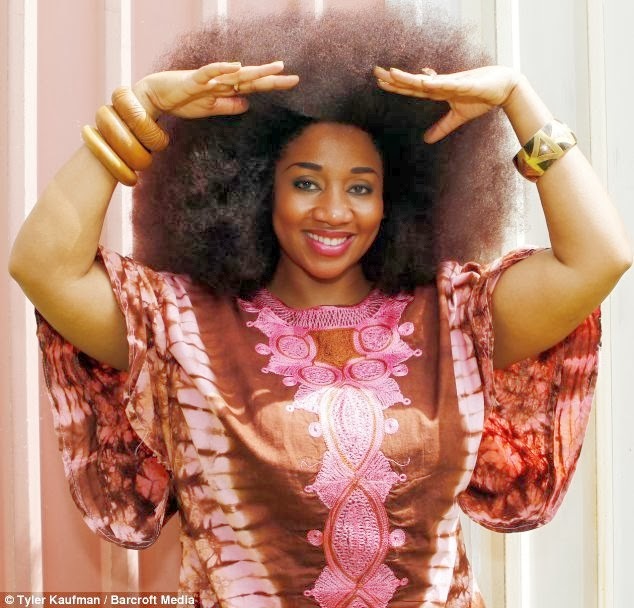 That has become a hot button issue over the past two years, with many women claiming that people wanting to ‘touch natural hair’ are treating those with natural hair like animals at a petting zoo. Do you still not mind? Yeah that’s an “iffy” subject. Even back then I was trying to be nice, but honestly it’s not the most comfortable thing for people to want to touch my hair. Not knowing if their hands are clean, it’s just a little weird. I know it’s something that people are curious about because a lot of us hid our real texture for so long. So of course they want to know what it feels like. Is it heavy? Is it soft (that one kills me)? But at the end of the day, it’s your personal preference if you want a stranger touching your hair. Sometimes I let it slide. Sometimes, I’m not up for it. Who do you look up to in the natural hair community? Honestly I don’t look up to anyone only because when I went natural there weren’t all these bloggers, vloggers, gurus, etc. Most of the people who are very popular in the natural community are newly natural and haven’t even gotten 7-10 years under their belt. So besides loving my mama’s ‘fro and a few people way back in the day, I look up to no one.  But I have a great respect for the bloggers, vloggers and gurus because they are making it so much easier for the newbies coming into the natural community! The natural hair movement has really taken off over the past couple years and you being the first awarded the record for World’s Largest Afro (the first time the title has been around) makes you a big part of that history. Did you ever really think that you hair could become such an inspiration, and how do you feel now that it has? No! I never thought going natural would lead to this. I’ve always been pro-natural, helping people, answering questions on how to go natural, but I didn’t think that the movement itself would get this big and I surely did not think I’d be recognized for having big hair! Never in a million years, but I am grateful and will keep this movement going any way I can! Aevin, who has won fans from Brazil to Italy, has spent the last 14 years growing her hair. Her jaw-dropping look brings her attention wherever she goes but it does have its drawbacks as she often gets it caught in trees, car doors and people's earrings. It can also take two days to wash and dry and is so big she struggles to see clearly out from beneath it - which means she cannot drive with her 'hair up'. To get her hair ready for a night out she shampoos it and then uses up to five conditioners. She then puts her hair into two French braids and from then it takes about two days to dry. But the positives far outweigh the negatives and she has become a hero in her hometown of Napoleonville, Louisiana. Her biggest joy is inspiring young girls to stop using chemical straighteners, which can cause long-lasting damage to hair. She said: 'I don't know why but there's something very important to me about little girls appreciating my hair and then wanting to wear their hair the same. Aevin was originally inspired by a picture of her mum Deborah Dugas wearing an afro in the sixties - and she remains one of her biggest fans today. Mrs Dugas, 62, who runs a care home, said: 'I'm humbled by the fact she did this because she liked my natural hair, way before she was born. She added: 'Her hair has definitely had an impact on the community. 'She made her decision when wearing your hair natural was considered unattractive in the black community.